[VIDEO] Comic-Con 2015: HANNIBAL Press Conference! 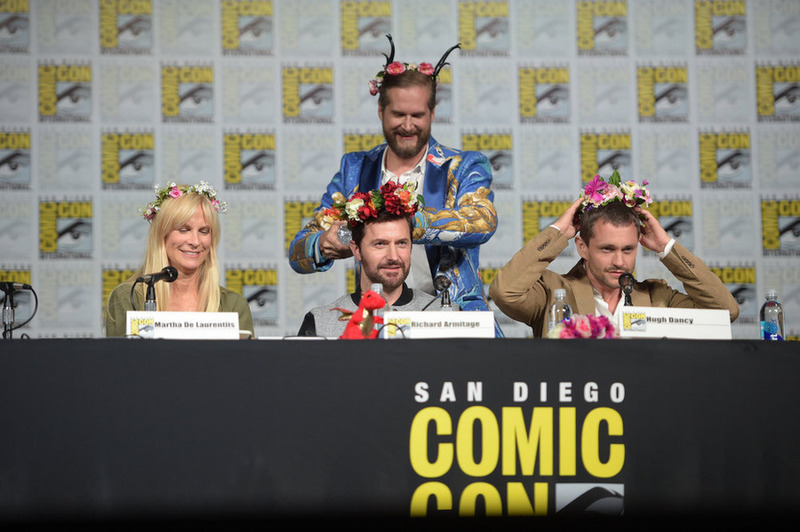 At Comic-Con 2015, OHSOGRAY attended the press conference for Hannibal. After the devastating news that the show would not be renewed for a fourth season, the shows Fannibals were up in arms. Creator Bryan Fuller explained that the show is still searching for a new home and has the full commitment of its cast. Fuller was joined at the press conference by Hugh Dancy (“Will Graham”), Richard Armitage (“Francis Dolarhyde”), and the show’s executive producer Martha De Laurentiis. They also discussed what fans can look forward to in the remainder of season 3 and what the future holds for Hannibal and Will. Fingers crossed that we haven’t seen the end of our favorite serial killer.